Labyrinths have been constructed since ancient times and can be found all over the world. 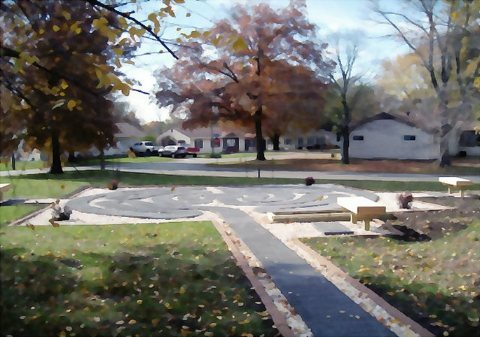 A labyrinth has a single path from the entrance to the center and is a unicursal tool for personal spiritual transformation. A labyrinth is a sacred path which simultaneously engages the mind, body, and spirit; a path that doubles back upon itself, leading to the center in a way that is not obvious. The path of a labyrinth is symbolic of one’s journey in life. If we stay on the path toward God, we will ultimately find our way and know the presence of the Holy Spirit.